Delos Van Earl Studios - "Ebb and Flow"
Undulating black lines move across this piece like tidal markings, with polished and lightly frosted pieces of blue and green glass strewn across the surface like agates. 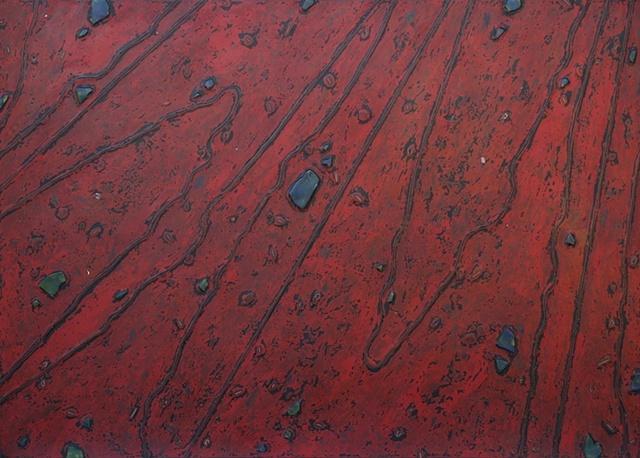 The surface is a passionate mix of bright and deep reds, with seed, shells and twigs adding color and texture to the mix. "Ebb and Flow" is sold.